(Reuters) – Chinese President Xi Jinping struck a deal with Kazakhstan on Saturday that will give China a stake in the its giant Kashagan oil project, a highlight of his tour of Central Asia securing hydrocarbons for the world’s largest energy consumer. In my twenty-five plus years of international experience in emerging markets, I have seen a number of countries on all continents transform themselves economically and achieve impressive results in infrastructure development, healthcare, and overall improvement of their standards of living. Kazakhstan stands out among these countries due to its government’s unwavering commitment not to simply exploit certain manufacturing or natural resource advantages for short-term enrichment, but for its comprehensive and sustainable effort to raise the education level of its younger generations, developing and expanding its science and technology sector, investing in development of healthcare, agriculture, and industrial production. 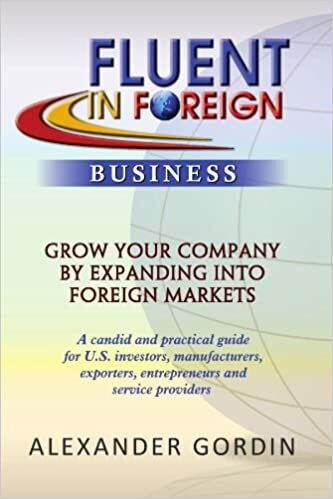 Given the country’s abundant natural riches and strategic location between Russia and China, as well as a history of warm and friendly relations with the U.S., Kazakhstan represents a very attractive opportunity for American companies seeking to get involved in Kazakhstan either via investing, technology co-development, export and project management, and financing. 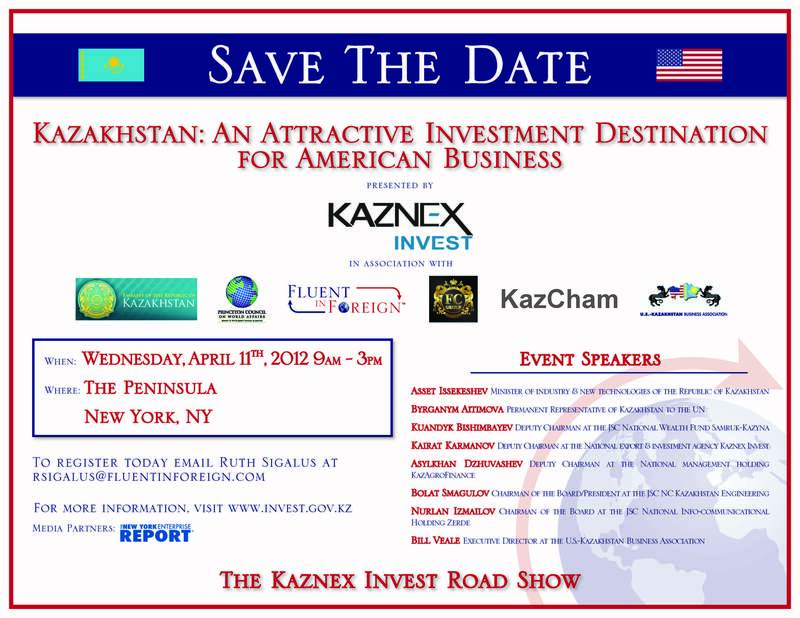 Between April 10th and April 12th, Kaznex Invest, Official Investment Promotion Agency of Kazakhstan, will hold several investment showcase events in New York, Washington, DC and Chicago titled Kazakhstan: An Attractive Destination For American Business. I recently interviewed Mr. Kairat Karmanov, Deputy Chairman of Kaznex Invest to learn more about the upcoming road show and to discuss the investment and cooperation opportunities that Kaznex and other government agencies and companies were planning to showcase to American companies. Kairat Karmanov is a Deputy Chairman of the National Export and Investment Agency Kaznex Invest, which is the “one-stop agency” in Kazakhstan for all foreign investors and exporters. Kaznex Invest is the government agency that works on providing free pre-investment and post-investment support for investors worldwide. The following are excerpts of my interview with Mr. Karmanov. Please tell our readers the purpose of the upcoming three-city Investment Road Show in the United States? Kazakhstan is one of the biggest countries in the world, blessed with the vast deposits of natural resources. Nowadays, the Kazakhstan government is shifting the priority from oil, gas, and metals exploration and production to the development of non-extracting industries. This Road Show is the first event that is entirely devoted to the presentation of investment opportunities in priority business sectors in Kazakhstan. The Road Show will be dedicated to the six key sectors of the economy: agriculture, chemical, machinery, metallurgy, pharmaceuticals, and IT and telecommunications. Also, the Road Show will feature a real-time exchange of information on investment projects, state programs and various state investment incentives such as import tax exemptions, state in-kind grants, and tax investment preferences. Companies interested in starting or expanding business operations in Kazakhstan will benefit greatly from an explanation of the application procedures for the various investment incentives. Who is accompanying you on this trip? What is your delegation hoping to accomplish during the Road Show? The Vice-Minister of Industry and New Technologies of the Republic of Kazakhstan will head the Kazakhstan delegation that will also include several high-level officials and business leaders representing a wide range of Kazakh business sectors. Top-level executives of several national companies and development institutions from each priority business sector will be presenting their own industry and investment projects and opportunities. We expect representatives of Kazakhstan to share with the American audience important information on how Kazakhstan’s mineral wealth and the Customs Union is creating new business opportunities across our country, and how newly-adopted State reforms are providing more incentives and support for foreign investors. We also hope that during this Road Show our Kazakhstan companies can find new American partners to start mutually beneficial collaborations. Why should U.S. investors consider Kazakhstan over other rapidly growing emerging markets? In 2010, the State Program of Accelerated Industrial-Innovative Development for 2010-2014 was adopted. Their main objective is to create stable and balanced growth through economic diversification. In the context of this program, efforts are underway to create attractive conditions for investors, as we are ready to implement projects in high-priority sectors. The Customs Union of Kazakhstan, Russia and Belarus, with a market capacity of about 170 million people and total GDP of USD 2 trillion, provides additional possibilities for investors and opens new horizons for effective realization of investment projects in Kazakhstan. Investors will be able to freely promote their products in the Russian and Belarusian markets. Kazakhstan’s competitive advantage is its more favorable business environment in comparison with the other countries in the Customs Union. According to the World Bank’s Doing Business 2012 Report, the Russian Federation and Belarus rank numbers 69 and 120 respectively, while Kazakhstan is 47th in terms of a favorable business environment. What specific projects and opportunities will your delegation present during the Road Show? During this Road Show, delegates will present their most important niche projects. For example, in the agricultural sector we have such important projects as construction and modernization of poultry farms, production or assembly of agricultural machinery, and development of greenhouses. In the machinery and heavy equipment sector, we are looking at helicopter production, production of electronic equipment, and creation of a center for assembly, repair, and maintenance of civil and military aviation technology. In the IT and telecommunications sphere, we are looking at e-learning, e-commerce, e-government, and many other worthwhile and potentially rewarding projects. In chemistry, we have construction of an integrated petrochemical complex, organization of glyphosphate production, and nonselective systemic herbicide used for weed control in agriculture. 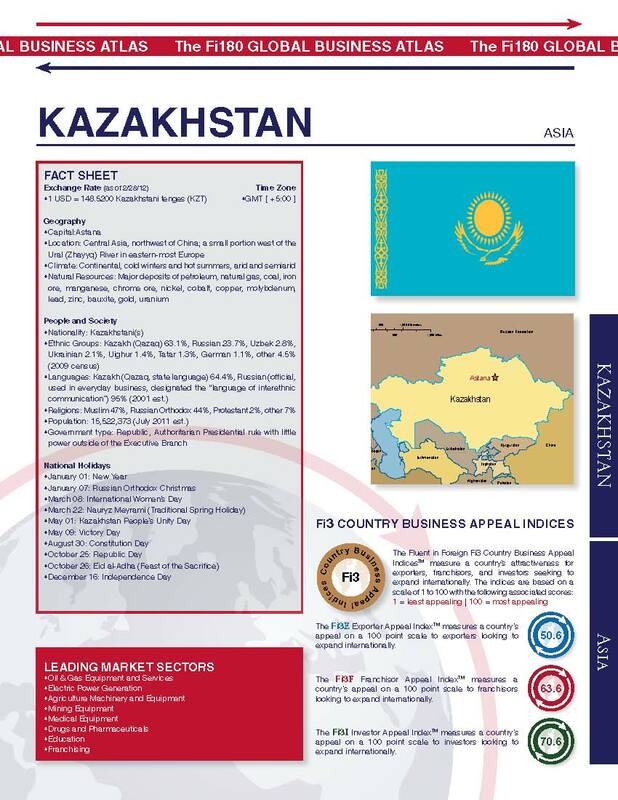 Detailed information on all niche projects is available at our website, www.invest.gov.kz. Which US companies already work in Kazakhstan? A. Most American companies in Kazakhstan now are working in the oil and gas sphere. However, as I already mentioned, the Kazakhstan government is shifting its priority to non-raw sectors and investors who are willing to work in our priority business sectors are receiving many incentives. For example, General Electric is successfully working on assembling locomotives in Kazakhstan’s Special Economic Zone, Astana New City. GE is already exporting its locomotives not only to the Customs Union Market, but also to countries closest to Kazakhstan. Representatives of General Electric Transportation in Washington, D.C are planning to share their success story of doing business in Kazakhstan, as well as their commercial, technical and operational advice, with their American colleagues during our Road Show in Washington on April 10, 2012.